Past Edison Scholar Diana Valenzuela and current intern gives a tour around SCE's offices in Pomona. Athena Chen, a 2015 Edison Scholar, is now a two-time SCE intern. This year, she's interning with SCE’s customer experience design team in Rosemead. 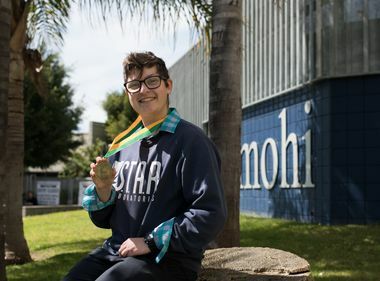 Emma Van Fossen, a 2016 Edison Scholar, is learning how to use design programs in the local planning department at the San Joaquin Service Center in Tulare. Get a firsthand glimpse at what life is like as an SCE intern. 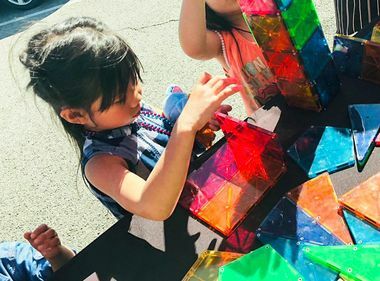 Transitioning from high school to college to the real world can be difficult, but these three college students — Diana Valenzuela, Emma Van Fossen and Athena Chen — make the journey seem easy. They are all past Edison Scholars who share a passion for STEM (science, technology, engineering or math) and are among about 150 undergraduate and graduate students interning at Southern California Edison this summer. 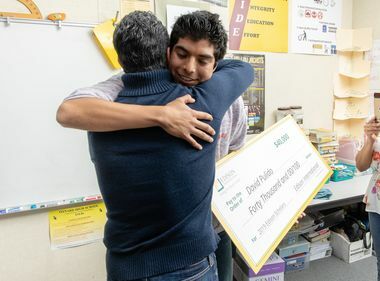 Edison Scholars each receive $40,000 college scholarships from Edison International, parent company of SCE. Every year, 30 high school seniors from SCE’s service territory are awarded with the scholarships that are paid over four years. 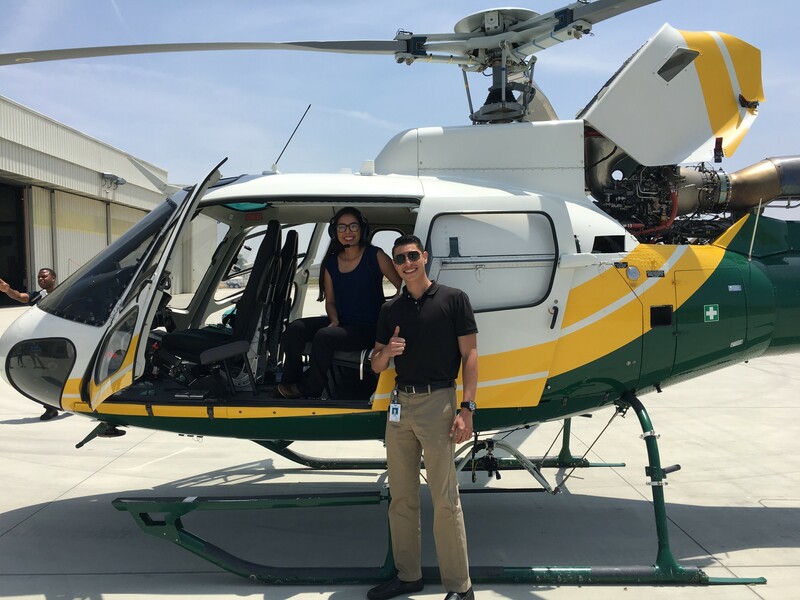 Diana Valenzuela, a 2014 Edison Scholar, with a fellow SCE intern, Gary Ramirez, during an Air Ops tour at SCE. They are interning with the work management team in SCE's Transmission & Distribution organization in Pomona. 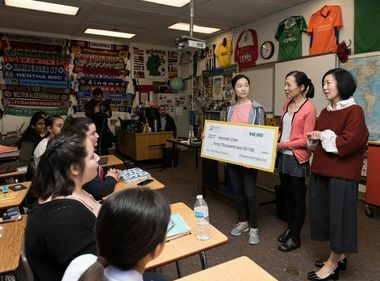 Since 2013, Edison International has awarded $6 million to 150 students through the Edison Scholars program. The scholarships are funded by shareholder, not ratepayer, dollars. Take a tour around SCE’s offices in Pomona, Tulare and Rosemead through the eyes of our Edison Scholars, now SCE interns. Applications for the 2018 Edison Scholars scholarship will open in October. Meanwhile, meet our 2017 Edison Scholars at on.edison.com/2017EdisonScholars. College students and recent graduates can learn more about SCE internships here.